Hello there and welcome back! I actually took a little blogging break over the weekend so thats why there was not a Music Files of Sweetpeas Picks but those will be back soon! :) I have some fun things in mind for those! 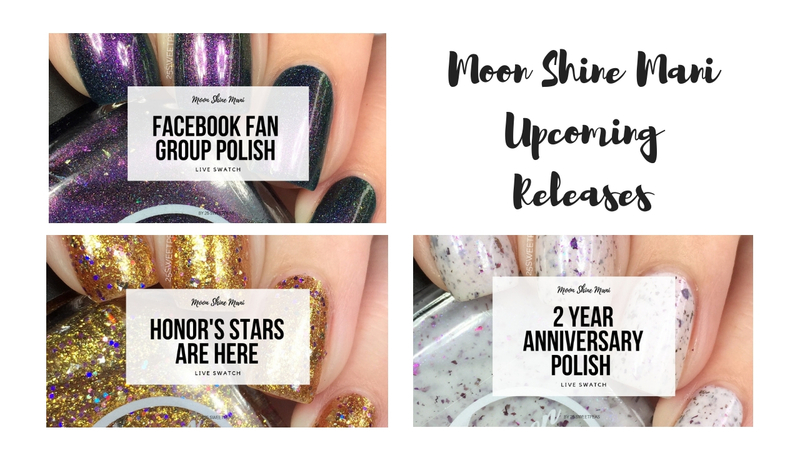 Today though is all about 3 new releases from Moon Shine Mani, all of which are releasing on the 30th yet are solo releases so lets get into the fun part! 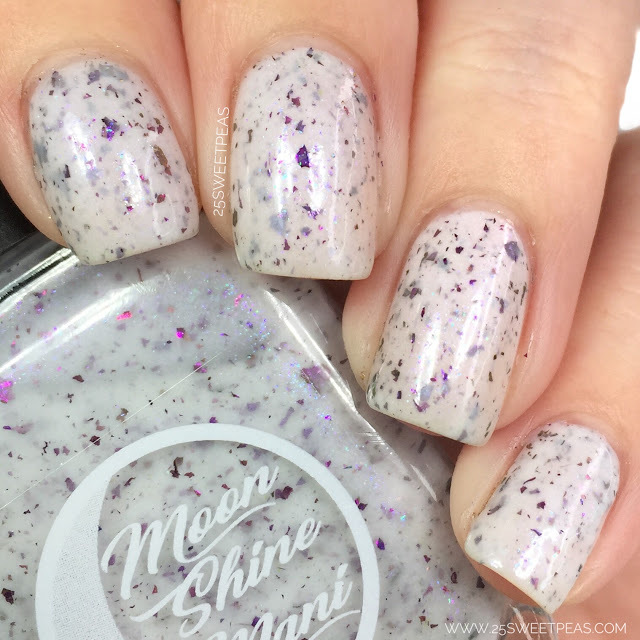 First up with have There's a Party Goin' On Right here which is releasing on November 30th and is in honor of Moon Shine Mani's 2 Year Anniversary! This one will be available at least until the end of the year. 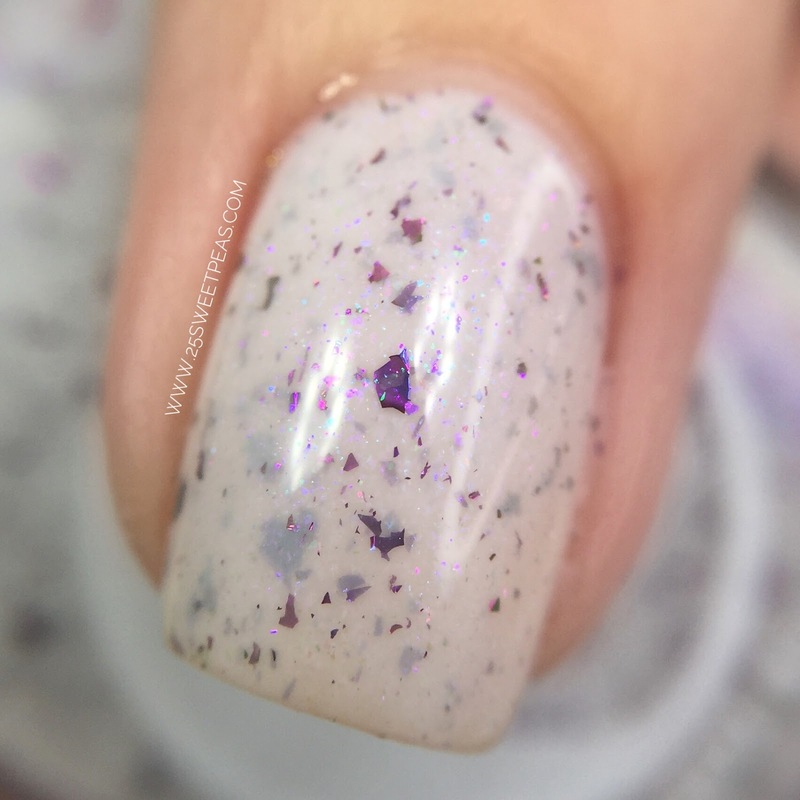 An off white crelly glowing with pink/purple/blue aurora shimmer and filled with blue/purple/red/gold multichrome flakies. First off how fun is this combo of everything! 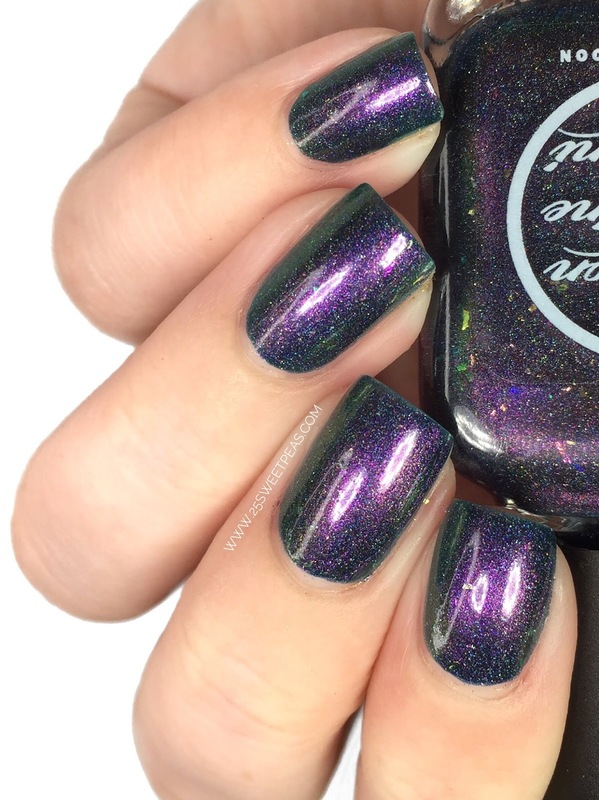 I think it just created such a neat look on the nails. So formula wise this is a really well behaving crelly polish. The first coat is a bit thin but it applies so nice and evenly. It builds up in 3 coats and they are easy coats. The brush being large makes it so nice! 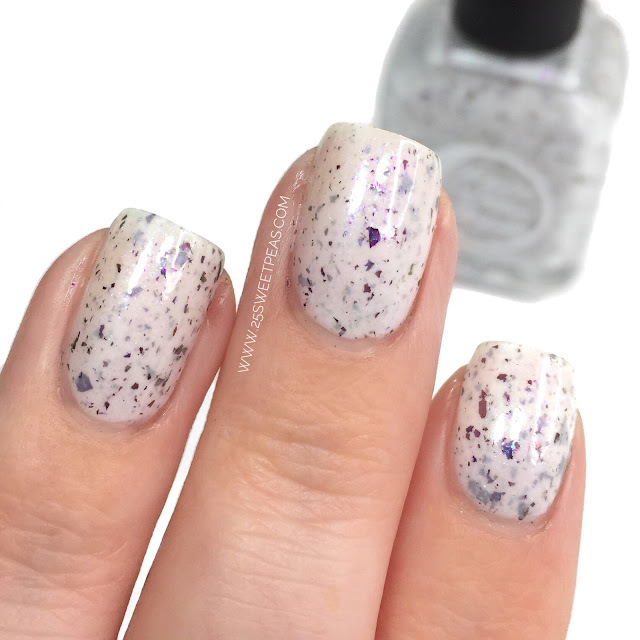 Plus the flakes layer so well with the 3 coats and I love how they look built up! 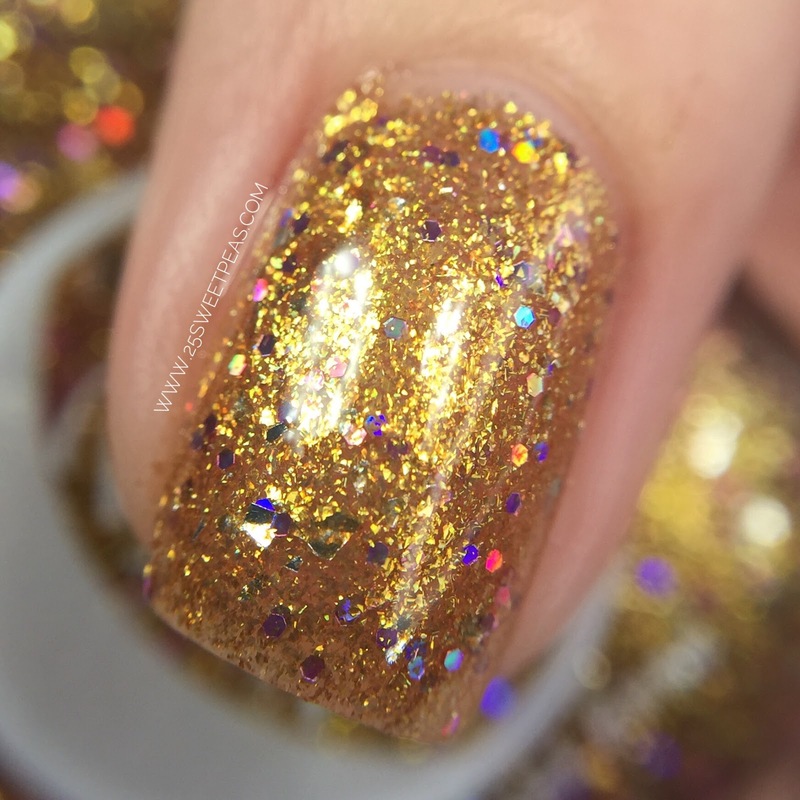 Check out the depth in the macro shot! Next up we have Honor's Stars Are Here which is releasing on November 30th and will be available for the next few months! 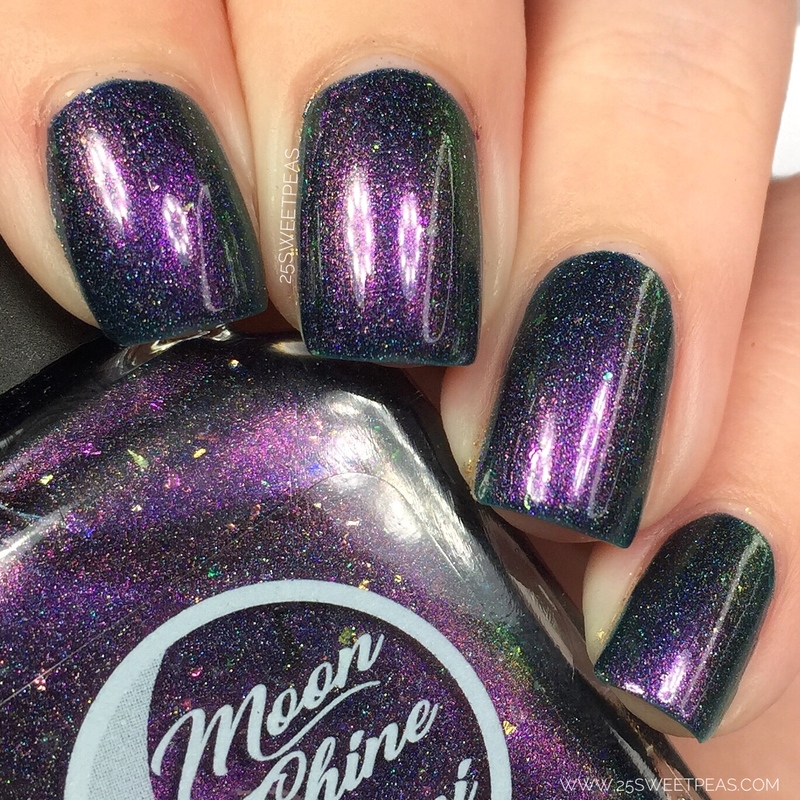 This is a stand alone polish that Phoebe's daughter created! 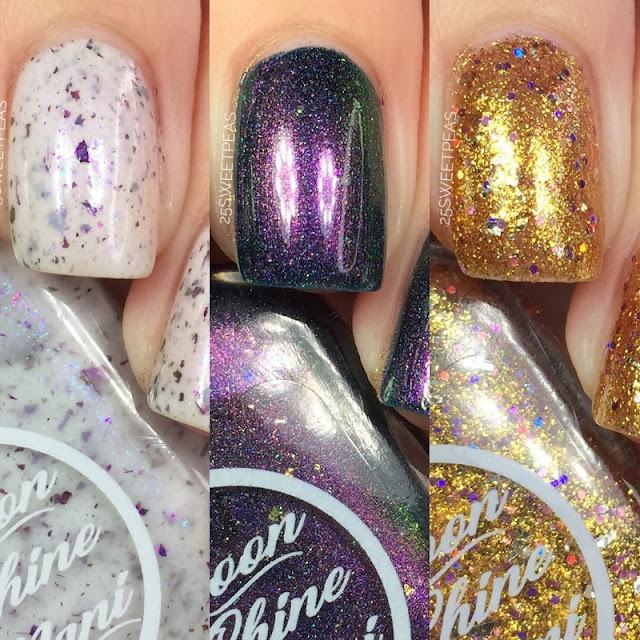 :) If you don't know who Phoebe is, she's the creator of Moon Shine Mani! A buttery, shimmering gold with pink holographic glitter and silver metallic flakies. 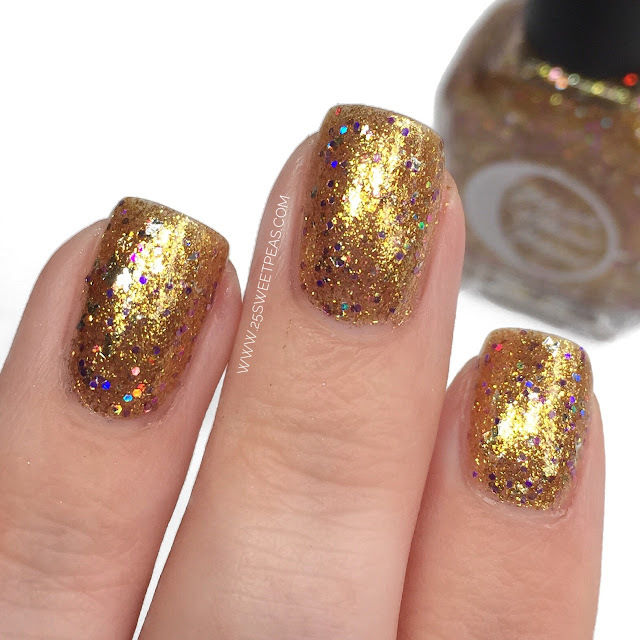 This polish is SO eye-catching and fun. 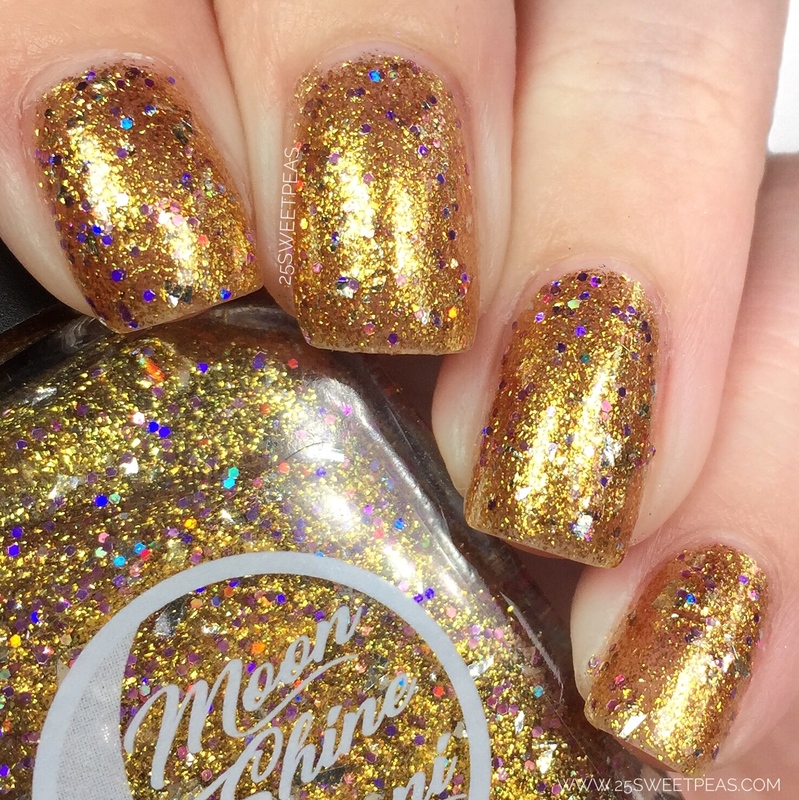 The mixture of the yellowy gold, the silver flakies and the pink holographic micro glitters is just so nice. This is built up completely in 3 coats, however with the even application you get in one you could totally use this as a topper if you wanted too, it will be an intense topper, check out the swatch video to see how much glitter/shimmer you get in just one coat! Paint the Sky is November Moon Shine Mani Facebook Group exclusive. This one will be available on November 30th through midnight on December 23rd. In order to get this one you must be in the Facebook group so feel free to join here. 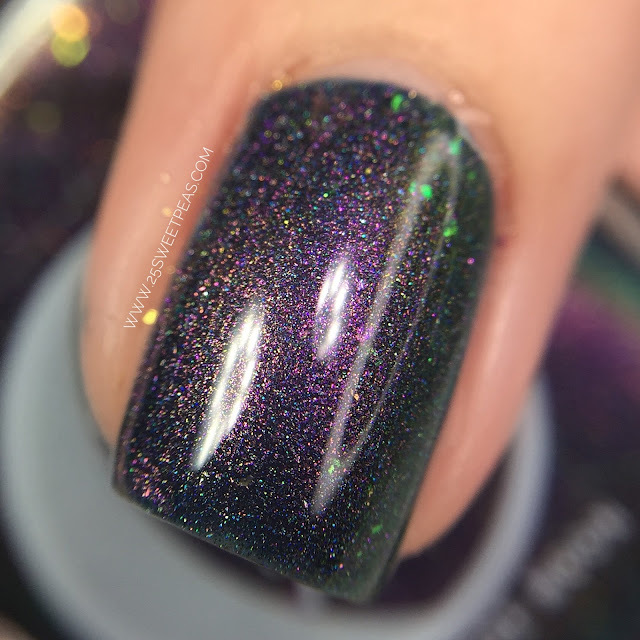 A purple, blue, green, gold multichrome/linear holo hybrid in a navy blue base sparkling with pink/green/gold iridescent flakies throughout. Wow! Ok if you are not in the Facebook group you must join! 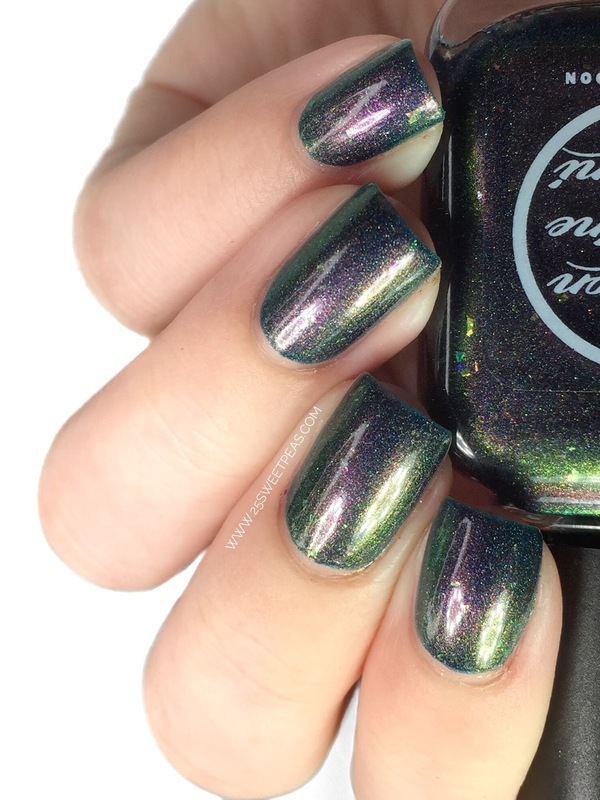 This is the exclusive polish of the month for members and this polish is just beautiful! Its a holographic multi chrome so I mean that alone just sounds amazing but it also looks amazing as you can see! Plus there are iridescent flakies which just take it to another level of neat! The shift is so strong as well so here is a look at that shift! The formula was excellent and applied perfectly in 2 coats! Ahh I just love it, what do you think?! That gold is so unique. It's a lovely trio that you're showing us today. Paint The Sky is my kind of polish. Wearing that would make me feel on top of the world - like the sky! 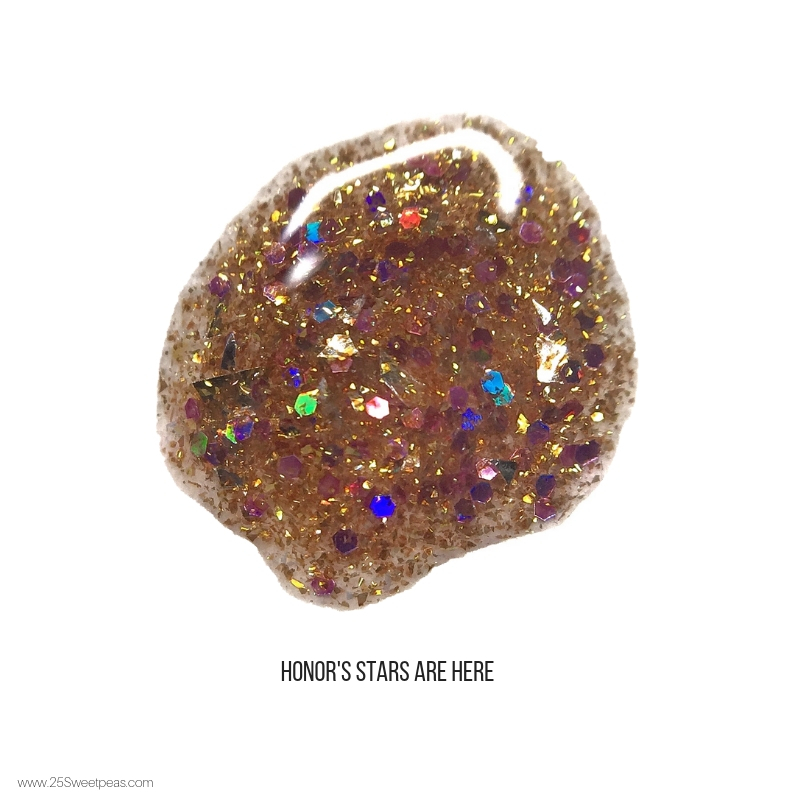 I love Paint The Sky and Honor's Stars Are Here. They're great for the holidays and beyond! 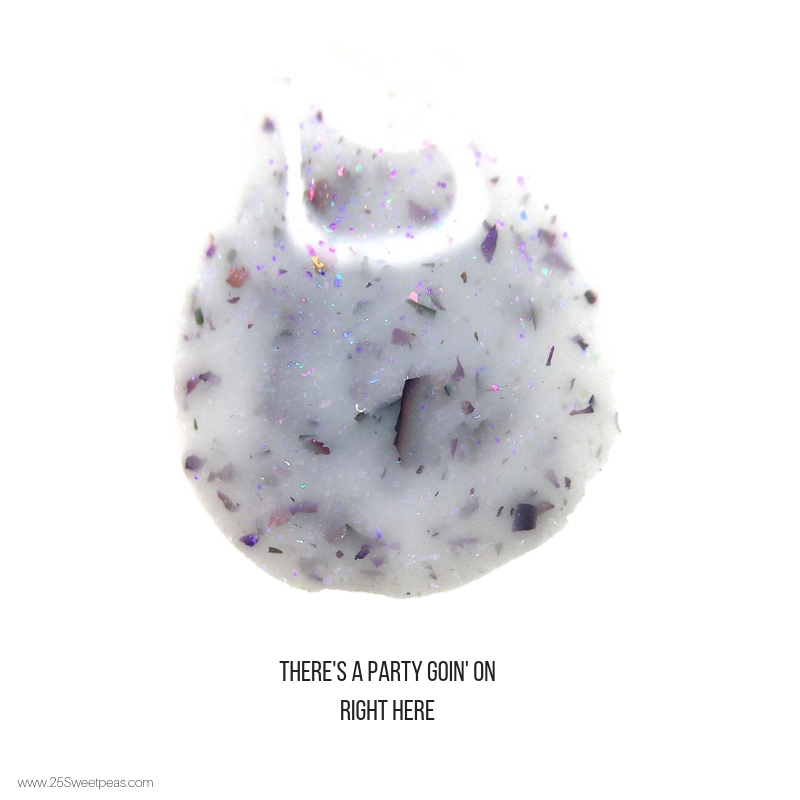 I need that Party Going On. I have some odd need to hoard ALL THE CRELLYS! I love seeing your drop photos, it really gives a good idea of texture/opacity! the gold one speaks to me!! 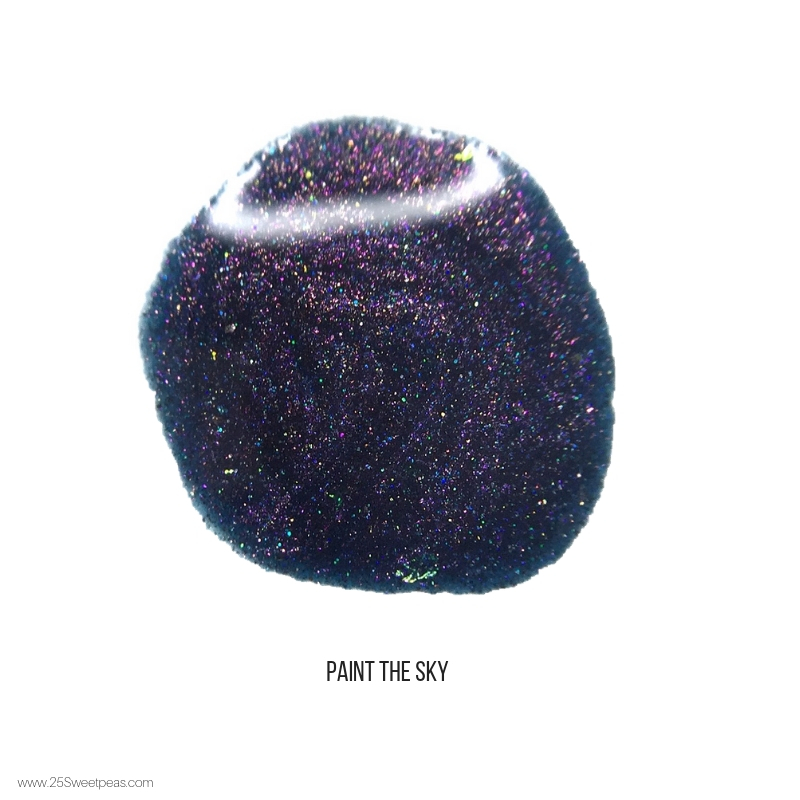 I simply love Paint the Sky!! Give me gold!!! I love that her daughter made it! All are nice but that flakie crelly is amazing! I love Party Goin' On Right!!! I am a sucker for a good crelly!